This control box allows on/off operation of 4 x pieces of equipment, i.e pumps blowers, lights and disinfection systems. 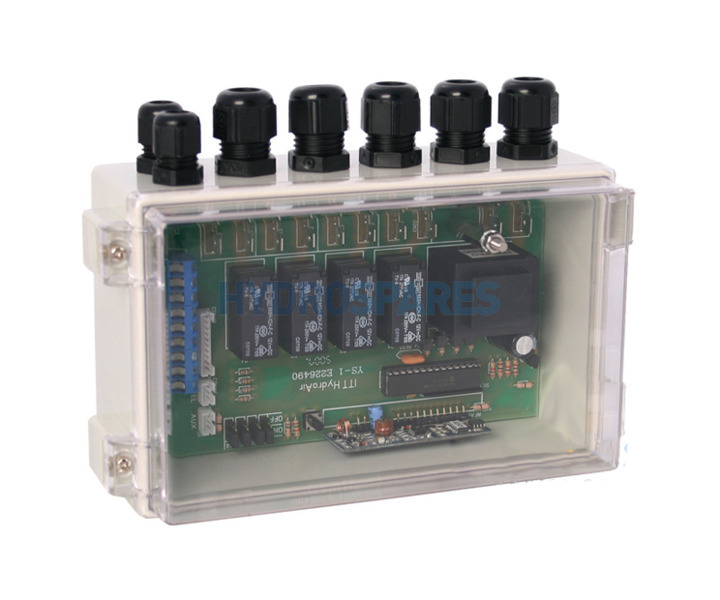 The Classic Line control box series can be used to replace older HydroAir single, double or triple command units without the touchpad quick connection, A.K.A system 500 Electronic Standard systems. If your system is a quick connection box then you must also replace the touch pad.